I love the messages in your articles! I especially enjoy your analogies & how they are something we can all relate to! One thing I believe is that YOU, Bryant Russ, have never been “boring” to Jesus! I admire your passion, your desire to always learn more about Christ & share His love with others! Awesome message, Bryant. Put the wristwatch down and watch the LION! It’s humble pie how ignorant we are sometimes. Write on, write on! I enjoyed the post. Good thing you were not too busy with your watch while we were watching the lions hunting Cape buffalo in Botswana! Our best to you! I don’t need a watch, I have a smartphone to protect me from engaging the world. I don’t have a watch. I have a smart phone to protect me from engaging my world. Great message! 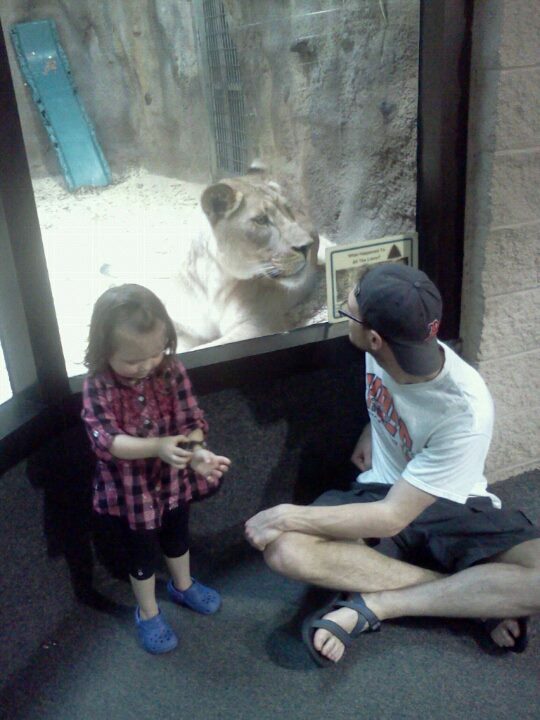 Bryant, I’m a visual person & especially related to the amazing photo of your niece & the lion. I’m afraid that all too often I’m looking at my watch. God bless you, grandson. I’m always impressed with your love of learning & the way you see things. Keep that fresh, God given perspective. Hugs, Grandma G.